Between October 1 and 8, 2016, M. A. D. had undertaken the beautification project of 36 railway stations in a project called ‘Hamara Station Hamari Shaan’. 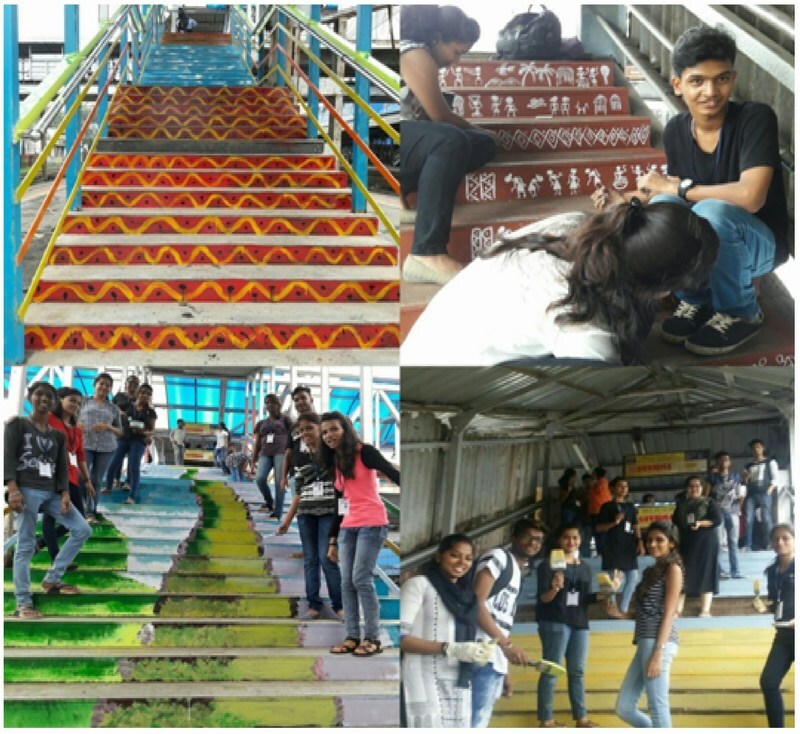 In all 483 students from IT,CS,BAF,BBI,BMS,BMM,Microbology,Biotechonology department, had participated in the same & contributed their efforts for the beautification of Goregaon railway station. Group 1: Creative team : The students from this group painted the stairs using their own creativity. 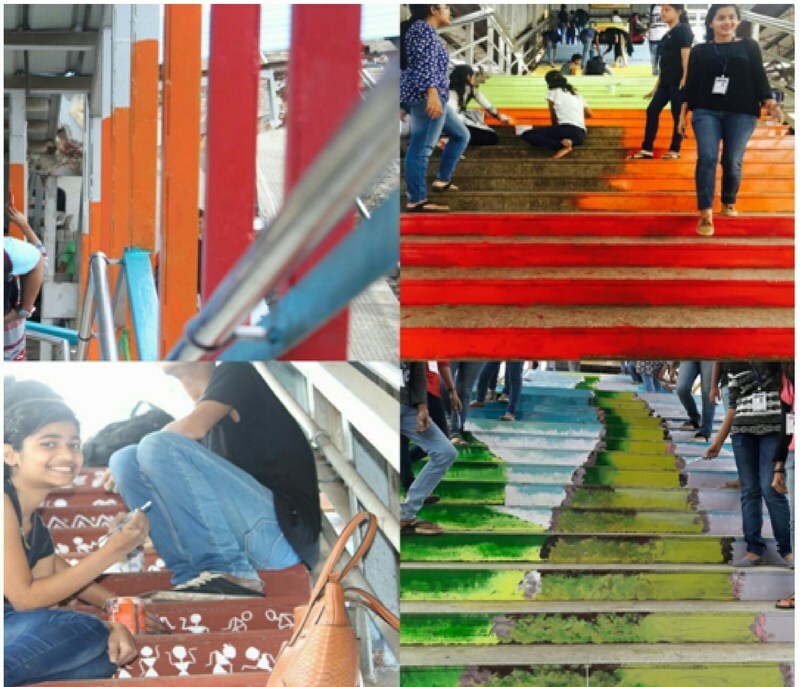 Group 2: Volunteers: Students from this team were mainly managing the crowd at the station so that the creative team can paint the stairs. Group 3: Logistic Management : This team was mainly told to help the creative team by providing the things needed for painting work. The students worked with great enthusiasm.